The state of Washington is pretty much a paradise for outdoor enthusiasts and adventure travelers. No matter what kind of outdoor activity you’re passionate about, chances are you’ll find an amazing place to pursue it there in the Pacific Northwest. Whether it’s bombing down the side of a mountain on a bike, trekking to the summit of a 14,000-foot volcano, or paddling the the state’s many rivers, lakes, and seashores, there are plenty of adventurous activities to keep you busy. And at the end of the day you’ll also find some epic places where you can pitch your tent too. Washington certainly has no shortages of campsites, many of which feature truly breathtaking scenery. The biggest challenge is figuring out where exactly to stay while in the backcountry. So with that in mind, these are our 10 favorite places to go camping while visiting the state. The Mt. Baker-Snoqualmie National Forest is a true wilderness in every sense of the word. 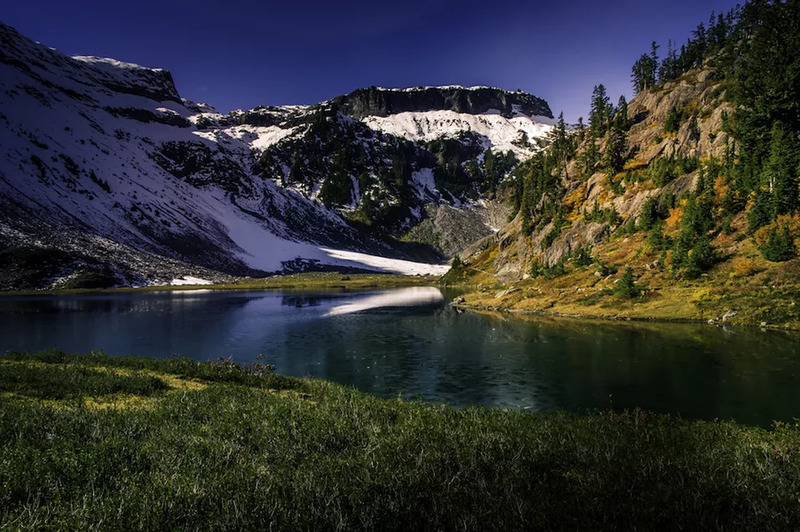 Remote, wild, and beautiful, it features lakes, rivers, and streams cutting through a dense forest while snowcapped peaks tower high overhead. The setting is perfect for hiking, rafting, and fishing during the warmer months of the year, and nordic skiing and snowshoeing in the winter.